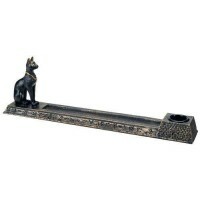 This Egyptian design burner can hold stick or cone incense. Lining the path to temples, Androxphinx statues guarded and protecte them as well as the pyramids and tombs. The largest and most famous is of course the sphinx on the Giza plateau. 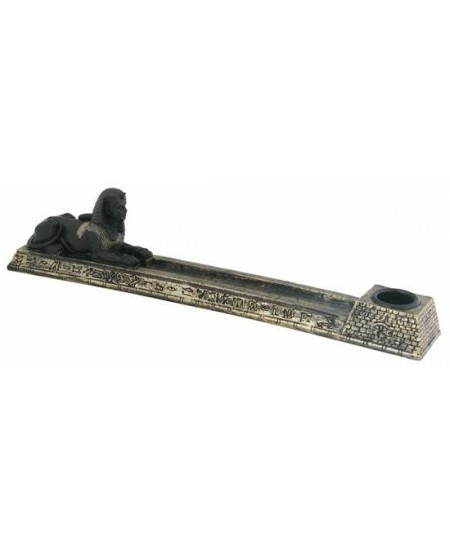 Here he guards your favorite incense. 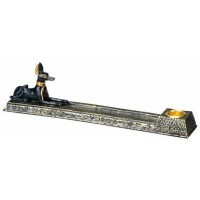 This classic Egyptian sphinx statue is cold cast resin with a black finish and hand painted gold detail. It is 10 1/2 inches long. Item Number: YT-5324 | Approximate Size (Inches): 10.50 wide x 1.50 deep x 2.25 high | Approximate Shipping Weight: 1.00 lbs.